Something Needed to Be Done With the Beets! I’m going to tell everyone right now, there are no interesting pictures to be taken of juice. I joined a CSA recently. I joined up for the same reason that everyone joins a CSA: to support local farmers, organic farming and the pretentious, pro-environmental self-righteousness of shopping at Whole Foods for less. The best thing about a CSA is that it’s forcing me to try new vegetables and subsequently new things. For examples, during the first week, I got rhubarb, a vegetable that I had never tried before and just assumed that it was going to be disgusting. After doing a little research, I found out that it could be surprisingly sweet depending on how it is prepared. By the first time I got my hands on these things, I had decided in regards to strange vegetables, I was just going to pretend to be Jose Conseco and start juicing. That’s how you end up with a juice containing beet, kale, apple and a lemon that is surprisingly good. The recipe I’m going to share today is a beet solution stolen from Saveur. The main changes are that I don’t have a food processor or a juicing machine so I had to make due with my blender. 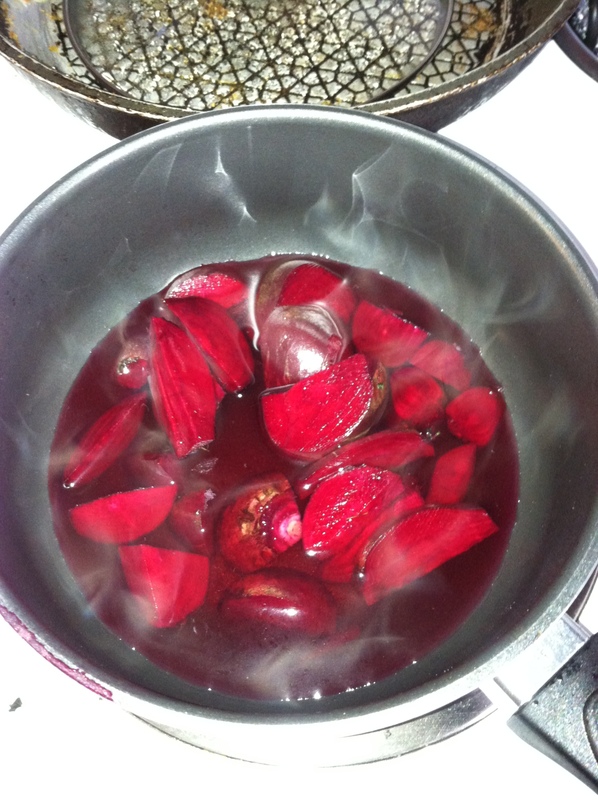 After cutting up the beets into small parts, boil them in 1 C water at medium heat until soft. The goal is to get the beets soft enough to be liquefied in the blender. Once the beets are soft enough to be mushed with a spoon, let it cool down with a little bit and then transfer to the blender with whatever liquid is in the pot. 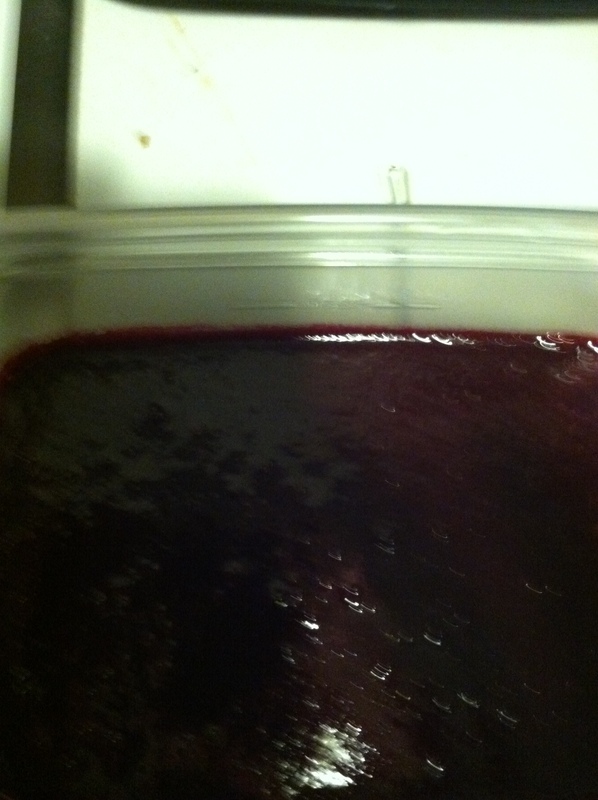 Mix the beets until it looks like mostly liquid. Add the lemon juice and sugar and blend for about thirty seconds. At this point, you have the option to try and separate the juice from the vegetable chunks with a strainer. I have a preference for OJ with pulp, so to me the little bits are fine. Either way, what it is you’ve created is a concentrated batch that can be watered down with the remaining cups of water (or liquor). Regardless of what you do, let it chill for a bit before you serve it up.